When disc disease causes chronic back pain that interferes with your health, consider the benefits of artificial disc replacement. 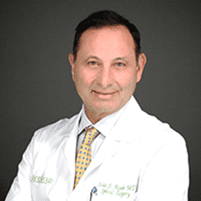 At Spine Group Beverly Hills, John Regan, MD offers comprehensive disc disease diagnosis and treatment options, including artificial disc replacement. He can design a custom treatment plan to address your chronic pain and improve your overall quality of life. Learn more by calling Spine Group Beverly Hills, with offices in Beverly Hills and Santa Monica, California, or book an appointment online. Why might I need an artificial disc replacement? The discs of your spine are susceptible to damage as you get older or as the result of a degenerative disease like arthritis. When spinal discs begin to break down, you can experience chronic back pain and reduced mobility. When nonsurgical treatments, like medications and physical therapy, aren’t effective in relieving chronic back pain or improving the functionality of your spine, Dr. Regan may recommend artificial disc replacement surgery. Am I a good candidate for artificial disc replacement surgery? Dr. Regan can determine if this type of surgery is right for you after a careful review of your medical history and an evaluation of your overall health. He may also order imaging tests, such as an MRI scan or X-rays, to assess the extent of your disc damage and confirm it is the cause of your pain. You should be in good physical condition to ensure you can tolerate surgery. What can I expect during disc replacement surgery? To ensure you’re comfortable during the procedure, Dr. Regan administers general anesthesia before starting surgery. You’re positioned on your back, so he can access your spine through an incision in your abdomen. During the surgery, Dr. Regan removes the damaged disc and replaces it with a durable, artificial device that supports your spine. When surgery is complete, you are allowed to recover from anesthesia before transferring to a hospital room to recover for two to three days. Before you’re able to return home, Dr. Regan assesses your level of pain and how well you tolerated surgery. How long does recovery from disc replacement take? Recovery time from disc replacement surgery differs for everyone. At your consultation, Dr. Regan can discuss what to expect during your recovery. In many cases, Dr. Regan encourages you to stand up and walk around within a day or two after surgery. This helps improve the speed of your recovery. In addition to walking, Dr. Regan may provide you with daily exercises to keep your muscles strong and flexible. Within several weeks, you should notice a significant reduction in your back pain. You may still need to continue physical therapy for several months to improve functionality in your spine. Find out more about disc replacement surgery by calling one of the Spine Group Beverly Hills offices or using the convenient online booking tool.